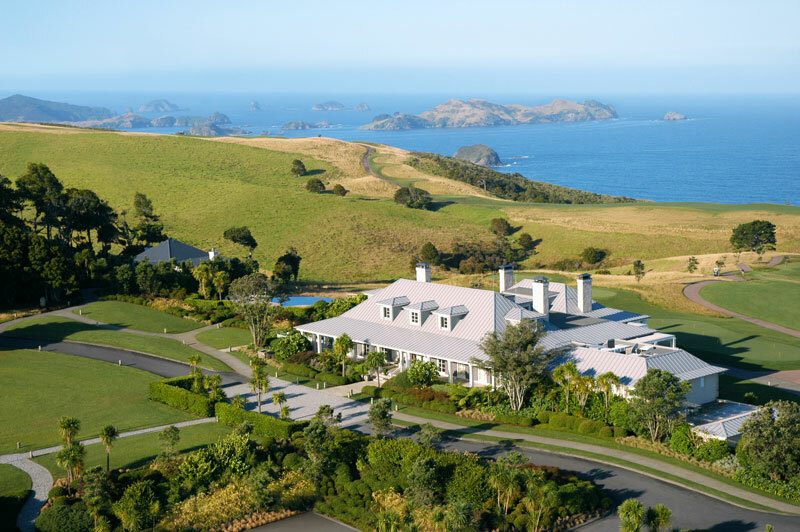 Planning a luxury vacation to New Zealand? 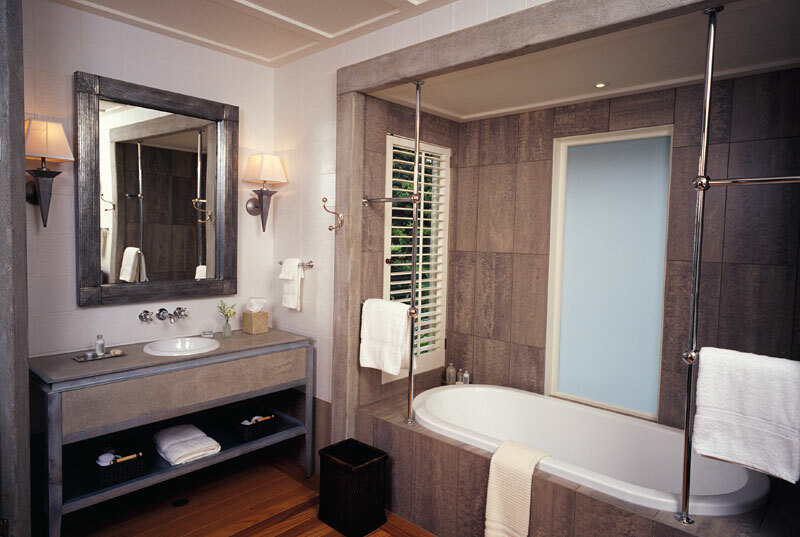 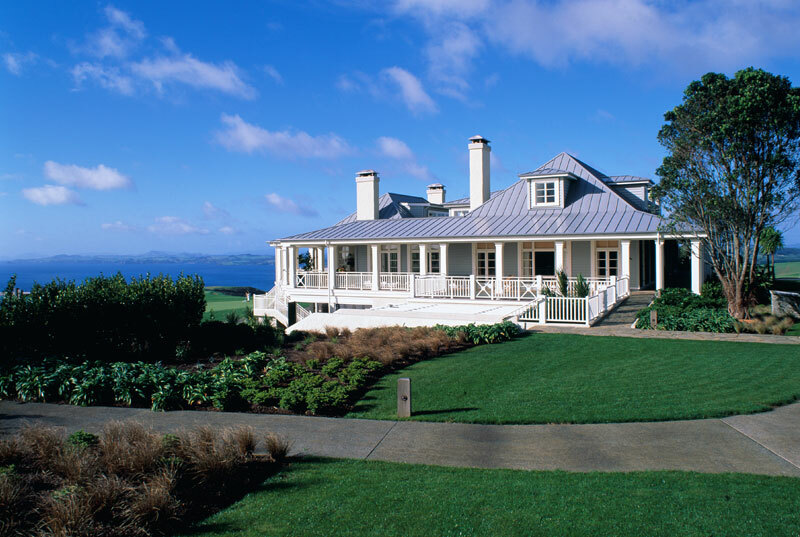 Then plan to stay at The Lodge at Kauri Cliffs, located in the Bay of Islands off the northern tip of New Zealand. 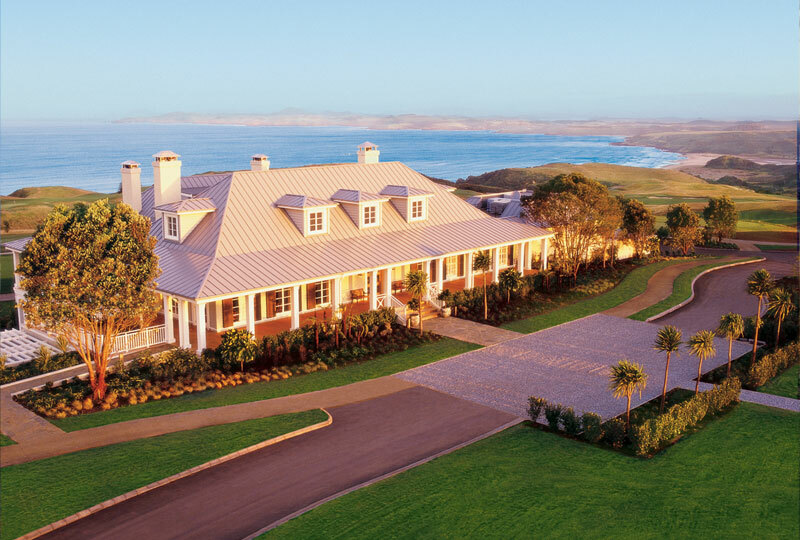 Kauri Cliffs and its sister property Cape Kidnappers top the “World’s Best Awards” in the top 15 Resorts in Australia, New Zealand, and the South Pacific as voted by distinguish Travel & Leisure Magazine readers – USA. 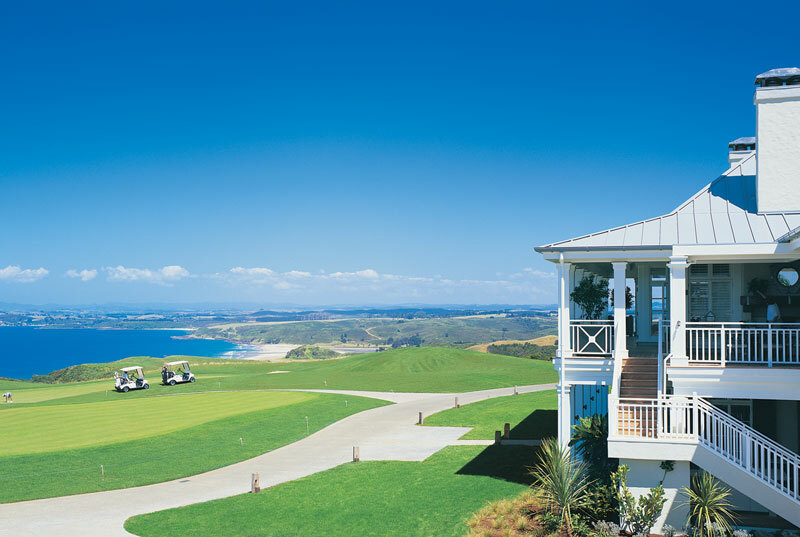 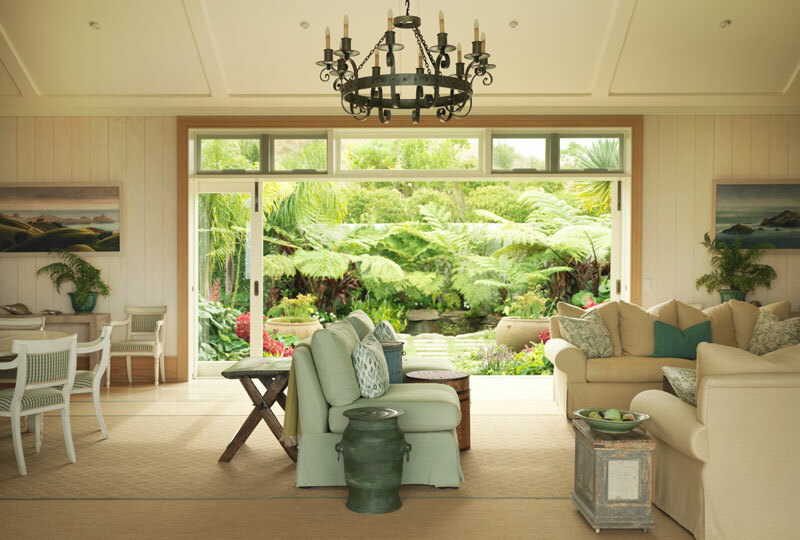 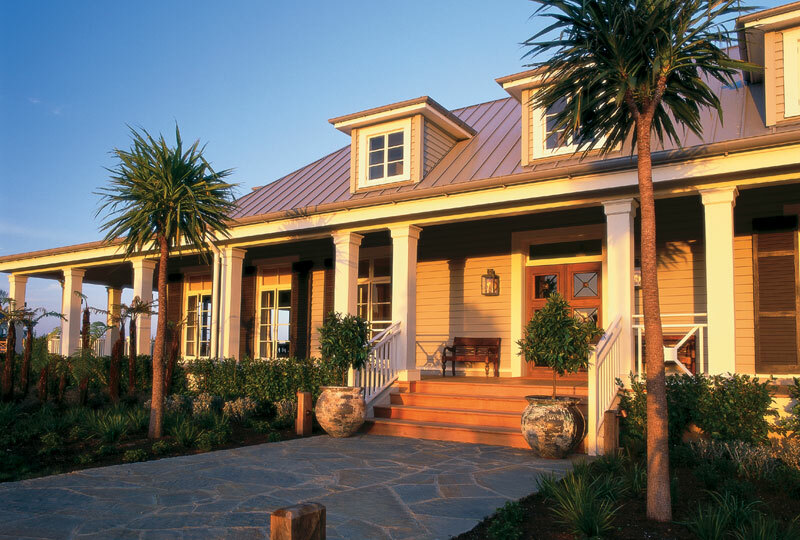 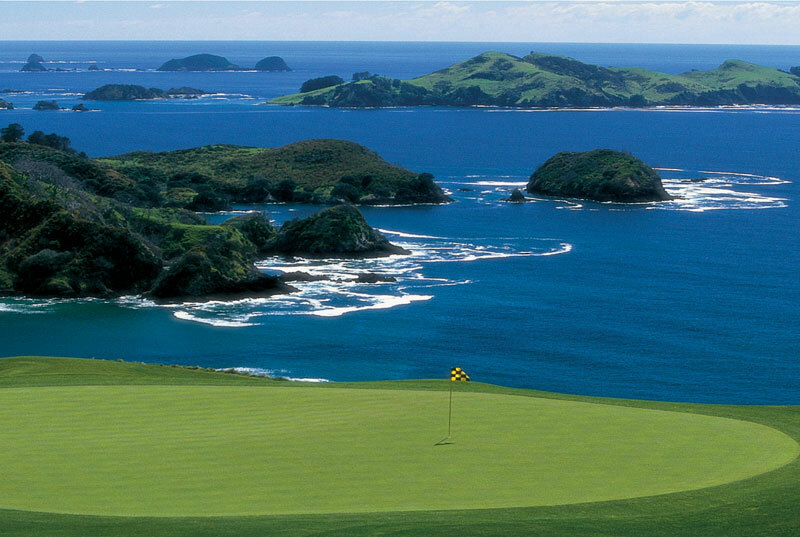 The main lodge at Kauri Cliffs offers 5 Star Leisure Travelers the most spectacular 180 degree view of the Pacific Ocean and is second-to-none in their all inclusive service, fine cuisine and wine, accommodations and Pro Golf Course. 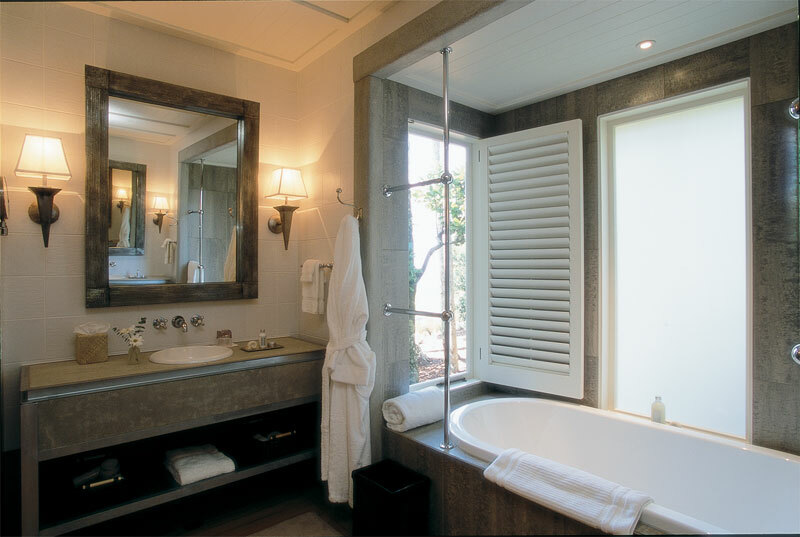 All of the luxury suites are nestled in the lush native forest surrounding the golf course and feature their own private porch, bedroom and sitting area and open fireplace, walk-in wardrobe and spacious bathrooms. 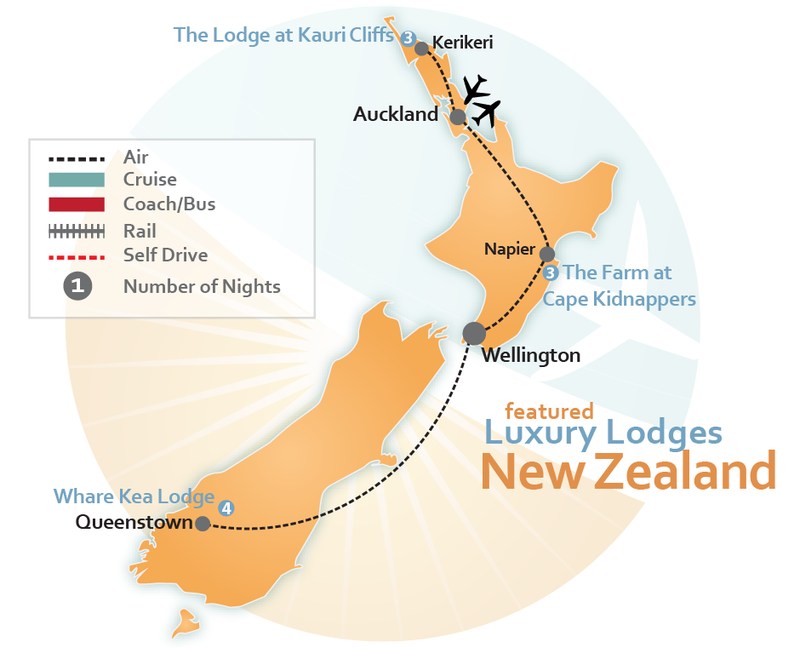 Plan to travel with your family or a group to New Zealand for vacation and want to house together? 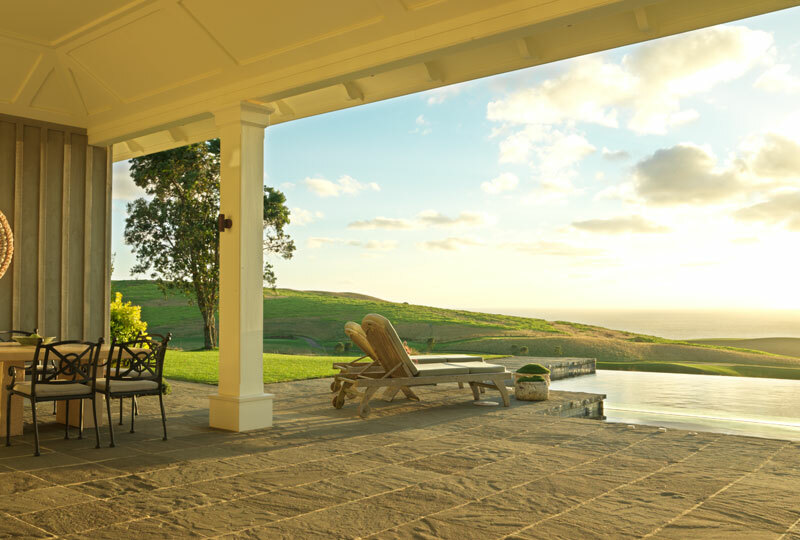 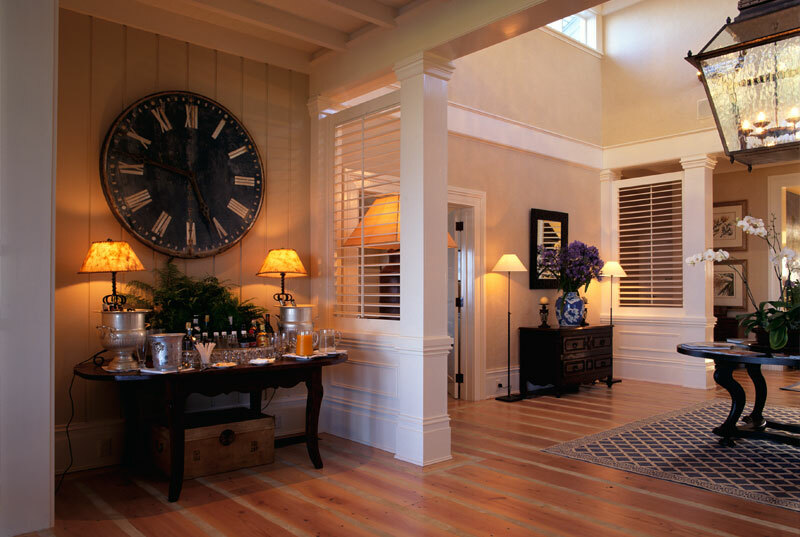 The Owner’s Cottage is a large 4, 200 square foot lavishness house with two private suites that overlook the Pacific Ocean and golf course, an infinity swimming pool and hot tub, outdoor barbecue and cooking facilities if you would prefer to dine in-house. 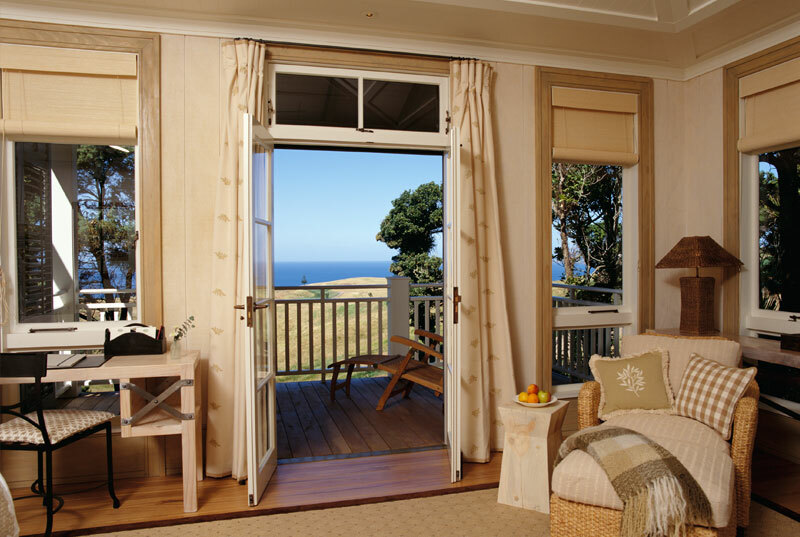 A small office space can be converted into a third bedroom space ideal for children or taking a nanny along on vacation. 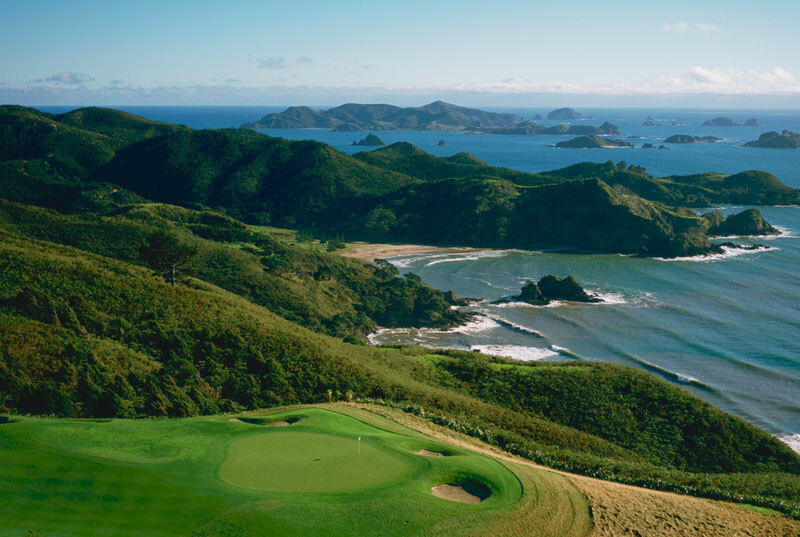 Golfers, book your Tee Time ahead to be sure to experience a golfer’s fantasy course. 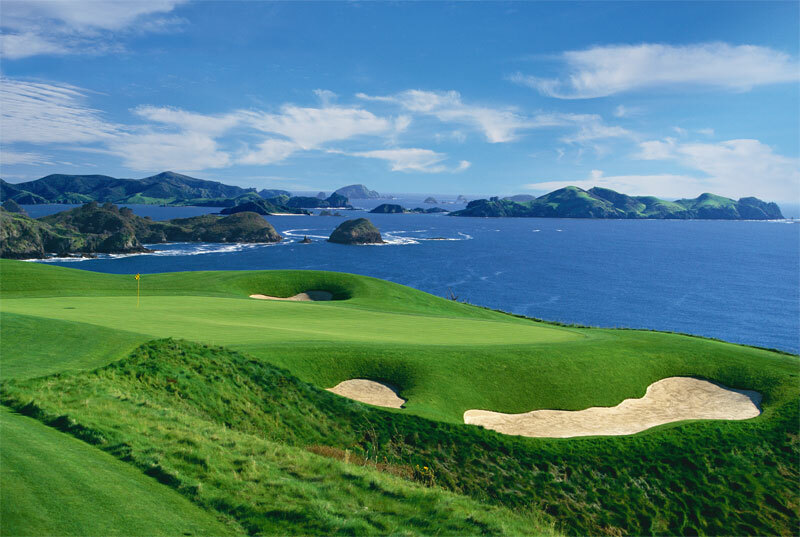 Fifteen holes view the Pacific Ocean, six of which are played atop the stunning cliffs. 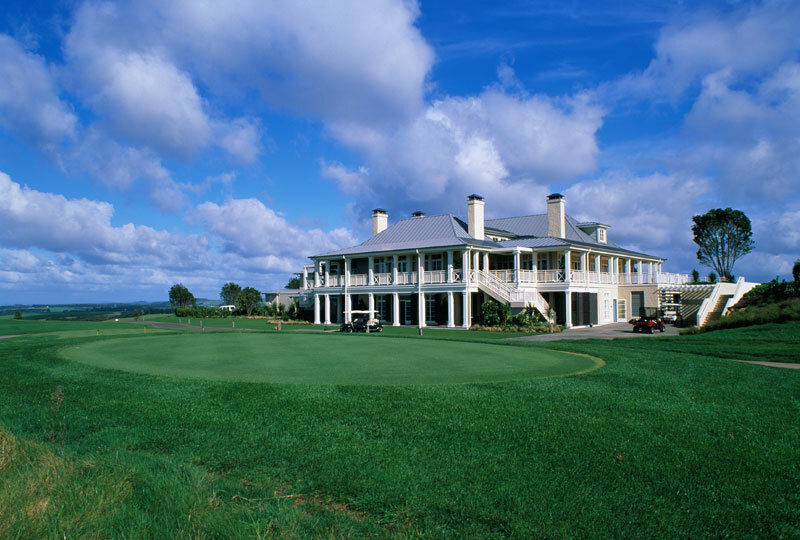 Ranked among the 100 Greatest Golf Courses in the World by Golf Magazine, Kauri Cliffs Golf Course has five different sets of tees to challenge every skill level. 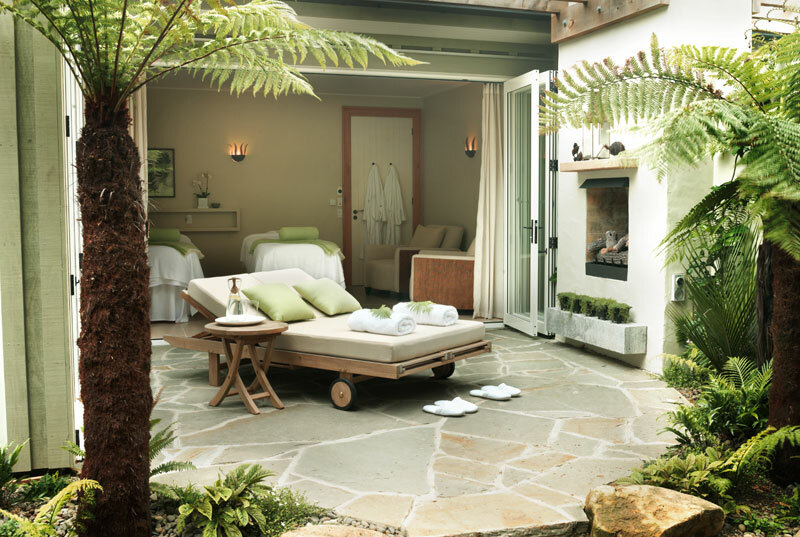 After a round of golf, take a moment out of your New Zealand Vacation to relax poolside or rejuvenate your mind, body and spirit in the tranquil setting of our exclusive, luxury spa found on the edge of a forest and winding stream. 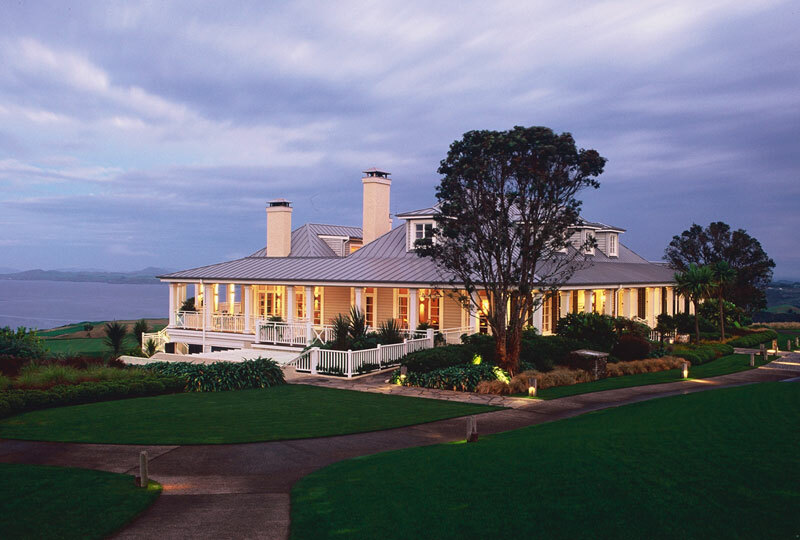 Might seem like a once-in-a-lifetime vacation, but you will want to travel to New Zealand time and time again to stay at The Lodge at Kauri Cliffs. 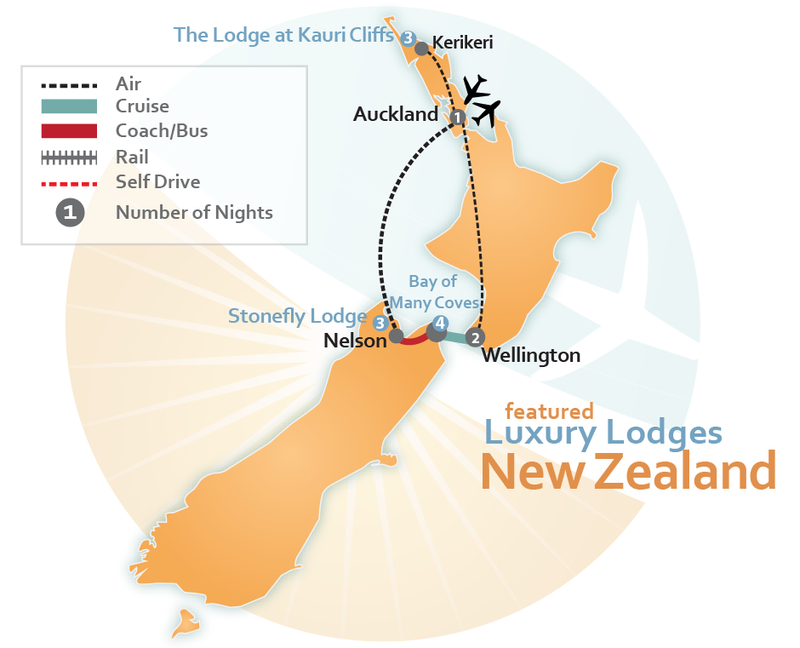 View our premade vacation travel packages listed below to book your Luxury New Zealand Vacation or CLICK HERE to let one of our Travel Agent Experts build a custom vacation package just for you.